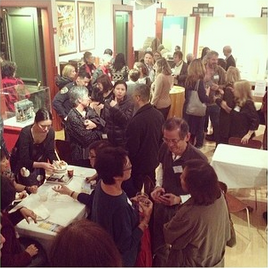 CHSA welcomes local author Dickson Lam for an evening to discuss his new book Paper Sons. 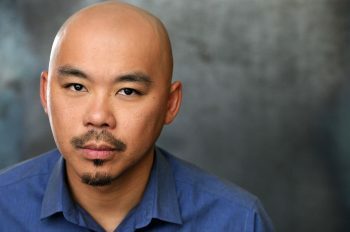 Set in a public housing project in San Francisco, Paper Sons explores Lam’s transformation from a teenage graffiti writer to a high school teacher working with troubled youth while navigating the secret violence in his immigrant family’s past. Mingle with friends and fellow members at this social event with music, drinks, and light bites. This event is also the kick-off for CHSA’s Membership Drive, where we will have discounted pricing on new or renewed CHSA memberships. If you’re already a CHSA Member, renew for another year at this special price. We also encourage you to bring a friend to take advantage of this special offer! All tickets include entry to CHSA & “Paper Sons” book talk. See below for ticket options and purchase tickets here. Entry to CHSA and “Paper Sons” book talk on May 11, 2018, copy of the book “Paper Sons,” and new or renewed CHSA Individual Membership for 1 year ($15 off the regular price). Entry to CHSA and “Paper Sons” book talk on May 11, 2018, and new or renewed CHSA Individual Membership for 1 year ($15 off the regular price). Entry to CHSA and “Paper Sons” book talk on May 11, 2018, and new or renewed CHSA Student, Senior or Educator Membership for 1 year ($5 off regular price). Entry to CHSA and “Paper Sons” book talk on May 11, 2018, and copy of the book “Paper Sons”. Ticket does not include a CHSA Membership. 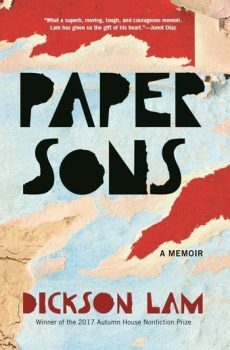 Discounted entry for current CHSA members to “Paper Sons” book talk on May 11, 2018. Ticket does not include a book or CHSA Membership renewal. About the author: Dickson Lam’s work has appeared in StoryQuarterly, The Kenyon Review Online, Hyphen Magazine, The Normal School, PANK, The Good Men Project, The Rumpus, and Kartika Review. He is a VONA alum and has been a resident fellow at the Millay Colony for the Arts and the Kimmel Harding Nelson Center for the Arts. He holds MFA degrees in creative writing from the University of Houston and Rutgers-Newark. Lam is an Assistant Professor of English at Contra Costa College and lives in Oakland with his wife and daughter.